The Second World War was probably less traumatic for the village than the 1914-1918 war had been. Fewer men were called up into the armed forces, since the majority were already engaged in jobs that were vital to the war effort. Farm workers were in the essential jobs, and the railway works were producing armaments as well as helping to keep open our lines of communication. Consider to be reasonably safe from bombing, the whole district was the reception area for evacuee schoolchildren. Towcester Grammar School shared its premises with Holloway School and these London boys were billeted in the villages of Towcester’s catchment area. Cosgrove received about two dozen 15-16 year olds, in the care of one of their senior masters. They were transported to school on three days of the week, and on three other days they used the old Baptist chapel [Mission Hall] in the village to do supervised homework, while the local pupils took their turn at school. Food rationing hit much less hard in the country than in the city, for the basic allowances could be supplemented by home-grown vegetables, eggs from backyard hens, and wild rabbits, not yet smitten by myxomatosis. Farmers made small amounts of illicit butter which they would sell to discreet and trusted customers! Once hostilities ceased, the village saw quite rapid change. Council house building, began just before the war, gathered momentum in the later 1940s and 1950s. Many of the old thatched cottages, clustered round a garden their pump, were condemned by the public health authority and replaced by more expansive estates of semi-detached houses built along the Yardley Road and in Manor Close, the latter a completely new street laid out on a greenfield site, and necessitating the infilling of the village pond. The development of new housing highlighted the need for street names and house numbers. Main Street, Bridge Road and The Green virtually named themselves. The Stocks were so called because the Parish Council had some evidence that in previous centuries the village stocks had indeed been located somewhere along its length. Manor Close took its name from Manor Farm right opposite, and the more recent Mansel Close perpetuates the name of the family that occupied the Hall and held the Lordship of the manor during the 19th century. On July 30, 1949, a new village hall was opened and known as the Victory Hall in celebration of the 1945 peace. It was built as a temporary structure while money was raised for a permanent building, and was funded by a 100% grant from the National Council of Social Services, and rented to Cosgrove for five shillings per week. It was built by Messrs. Betts and Faulkner of Stony Stratford, aided by much voluntary labour from the villages. The celebratory reopening was attended by the local MP, Sir Reginald Manningham Vuller, Captain Atkinson of the Priory, who had given the land, and Major Hesketh of the Hall. The village children were entertained toa tea party and film show and the Union Jack was flown from the roof. In 1988, with a temporary hall approaching its 40th birthday, the parish council began to investigate the possibility of a replacement. To date  planning permission has been obtained and fundraising is underway. The 1944 Education Act raised the school leaving age from 14 to 15 and decreed secondary education for all children, an edict to which marked the end of the all-age village school. It took time to implement the Act, but in 1958 a new secondary school was opened at Deanshanger to take the over elevens from Potterspury, Yardley Gobion, Old Stratford, Wicken, Paulerspury, Grafton Regis and Cosgrove. The village school, thus depleted, was under constant threat of closure during the next decade but gradually numbers on the roll increased, with the growing number of new houses being built, and its future now seems assured. The last 30 years have seen yet more far reaching changes. The construction of the M1 motorway three Northampton demanded vast quantities of gravel, much of it supplied by Cosgrove pits. By the mid 1960s, supplies there were virtually exhausted and Mr. Whiting, the owner, sold his land to a Northampton businessman who developed what is now Cosgrove Lodge Park on the site. The water filled gravel pits provide facilities for boating, water-skiing and angling; the surrounding meadows served as the caravan park; and the house has become a hotel and restaurant. All this has generated considerable traffic through the narrow village street - as many as a thousand cars on a busy summer Sunday - not at all welcome to the older inhabitants who remember the peace and quiet of earlier days. Also in the 1960s came the development of Milton Keynes. The new city is confined to the Buckinghamshire side of the river Ouse, so it has not physically engulfed Cosgrove, but inevitably its close proximity has had some repercussions. There has been a flurry of private house building, in Mansel Close which was once the rick-yard at Manor Farm, in Main Street where old thatched cottages used to stand, and on several patches of once open field at the end of the village known as the Green. Many of the newer residents commute, either to Milton Keynes itself, or to Milton Keynes railway station en route for London. Cosgrove is fast becoming a dormitory village. Telephones, television sets and cars have multiplied apace during the last 30 years and this has transformed people’s outlook, giving them mobility and higher expectations. Cinemas and shops in Northampton and Milton Keynes are accessible, at least to the car owner, so village life is less introverted and self-contained. But this does make it difficult for the village shop to keep going, and with wider entertainment available, two of the village pubs have closed and being converted into private houses. Fortunately old buildings are less likely to be demolished in these conservation conscious days, and the old National School, neglected for years, has been sensitively converted into a home. The Baptist chapel was, in July 1990, in the process of being similarly transformed, and a pleasant private hotel now operates in what was once the bakehouse. The Rectory originally stood in the midst of extensive lawns, tennis court, gardens, stable and stable yard, a relic of the days when the parson was landowner and farmer alike, but far too expensive for a present day incumbent to maintain. 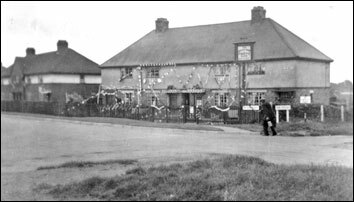 In 1954, part of the rambling old house was demolished, the remaining parts modernised, some of the land sold off as building plots and part of the old orchard given to the village for use as a recreation ground. Until the second half of this century, the two mansions were homes to old established families who were very much a part of the fabric of village life, but even this facet of the local scene has gone. Captain Phillip Atkinson of the Priory left no heir, and on the death of his widow in the 1970s the house was sold to be used as offices. At about the same time the Hall was sold to a firm of antique dealers who use the place as an elegant showcase for their treasures. The 20th century, then, has seen the loss of the “gentry”, the Rector, the brewer, the baker, the miller, the blacksmith, and the canal overseers. Mechanisation has drastically reduced the number of agricultural workers and even the railway works at Wolverton hove so slimmed down their operations that very few employees are needed now that maintenance rather than construction of rolling stock is the main interest there. So, what remains of the old Cosgrove? The canal itself is unchanged, though the cabin cruiser has replaced the narrow boat. [narrowboats now much the most popular holiday craft] There is still uncertain fashion fascination in watching craft of any kind negotiate the lock. The aqueduct [horse tunnel] in the centre of the village is a continuing source of interest to the uninitiated, and the Iron Trunk remains a striking monument to early 19th century engineering skills. Until the mid twentieth century, the Civil and Ecclesiastical parishes of Cosgrove were concurrent. But in 1950, in recognition of its growth, Old Stratford was made a civil parish in its own right, where previously it had comprised parts of the three neighbouring parishes at Passenham, Furtho and Cosgrove. Thus Cosgrove’s present day civil parish no longer reaches to the Watling Street, but this has not altered the extent of the ecclesiastical parish which retains its 1000 year old Saxon boundaries. It is the approach to Cosgrove from Old Stratford that preserves the least altered view of the village. From the Dog’s Mouth bridge, the road still climbs Quarry Hill, cuts first through wide open fields and then through the Spinney to the Hall gateway, thence to the Church - thus far, no post world war buildings to intrude on the landscape. The Church tower stands on the corner as it must have done for over 600 years, the most potent symbol of the continuity of village life.